No boat hire until the water level in the canal rises. Electric boat will not run until levels return to normal. Starting Easter weekend. A new passenger Boat service arrives on the Royal Military Canal at Hythe Kent. la tienne (she’s yours) is an electric passenger launch, she is a pretty boat purchased especially for this new attraction. Operating under license and in partnership with Shepway District Council. Wind and Weather proof, we will sail all Summer through to late Autumn. First trip 12 noon, each hour until 4.0pm. Children must be accompanied by someone who is at least 16 years old. All children under the age of 16, non-swimmers and those with reduced mobility must wear a Buoyancy aid, which will be supplied free of charge. Buoyancy aids are freely available to all who wish to have them. Everyone is advised to wear a buoyancy aid whilst on the canal, however children under the age of 16 years and non swimmers will not be permitted to board the boats unless they have been fitted and wearing a buoyancy aid supplied by Electric Boat Hythe for the duration of hire. Prices are calculated per person, but a minimum price applies to all boats. The Boat Hut: At hourly intervals. Times are correct as of 25th March 2016. However all times are approximate, and are subject to change without notice. Sailings may be affected by operational conditions beyond our control. Site signs at the pick-up-point will state the next sailing time. If traveling any distance please check availability. Exclusive whole Boat Booking: up to eight souls - subject to safe loading. £65 an hour. Wedding and Anniversary Trips a Speciality! N.B. As we have limited capacity on any sailing we operate, a first come-first served system. Please check before setting out, if you are traveling any distance as times and schedule are subject to change at short notice. Whole Boat sailings can be booked in advance by text or email. We will confirm within 48 hours. a non-returnable 50% deposit is required. Terms and Conditions apply. Telephone us on 07885 318301 and speak to The Captain of The Day. The pick-up-point has information boards that will show the time of the next sailing, and will be updated throughout the day. Such as Sunset Chaser or Bird Watching Adventures can be arranged. We can and are pleased to accommodate our friends as above and have access for chairs and buggies at The Boat Hut Boarding Point. Because of space and weight restrictions the boat carries locks so that equipment can be secured at the departure point until your return. We will assist you to board and disembark so that you can relax and enjoy this special experience. Our attraction is fully insured and the Skippers carry Boat Handling Certificate and public liability cover. However any activity on water is potentially hazardous, so please be aware of your own situation and that of fellow passengers onboard. Again, the Captains word is law, and any instructions will be for your benefit, with your safety in mind. Generally a turn-up-and-go service. We operate a first come-first served basis. However, pre-booked whole boat sailings will take precedence. The boat can accommodate up to 8 adults at any one time, subject to maximum safe loading at the discretion of the skipper. Please do note, this is a turn-up-and-go service, so if traveling, do telephone ahead. Service starts Easter weekend. For location, please see the How to find us page. Leaving from: The Boat Hut: At hourly intervals. N.B. Times are correct as of 31-3-2018. However all times are approximate, and are subject to change without notice. Sailings may be affected by operational conditions beyond our control. Site signs will state the next sailing time. If traveling any distance please call ahead to check before setting out. There are no toilet facilities on board-so go before you go. We are lucky to have plenty of free on-road parking around Hythe close to the our boarding points. On road free parking is just a step away. Evening sailings are from 6pm onwards and start/finish at the Boat Hut, The Grove unless arranged otherwise. Hythe is renowned for spectacular sunsets - bring nibbles and be amazed! (hopefully) approximately 2 hours. Just one opportunity a year to stay on the water late into the evening and relax in the sunset - maybe some appropriate music, bring your own refreshments, approximately 2 hours. O.K. You can reserve "la tienne" for yourselves from one hour to a whole day - Your Captain will look after your Weddings-Corporate Events-Staff Rewards-Celebrations-Picnics-Romantic Engagement Interludes-Children's Parties-Pirates-Bird Watching Excursions-Bat watch, etc.Phew! What do you want to do? We will try to help-Just ask. £65.00 per hour -Subject to maximum safe loading. We can help you have the most memorable day on this special occasion. There are Four wedding venues (3 churches and the Hotel Imperial) are close to the canal. A dressed Boat and a smart Captain will pick -up the Bride-to-be and Bridesmaids and allow them to chill out on the way to the big day. The Bride and groom can relax together and gather themselves for the celebrations to come. (several venues are adjacent to the water). The boat can ply the beautiful canal for photo opportunities and entertaining guests. Any or all of the above - call us to discuss. P.S. We do have all weather covers. How Special will this be! (terms and conditions apply). 'la tienne' is a 21ft. (6.4 metres)Frolic. Built by Creative Marine at the Secret Boatyard, Matlaske, Norfolk. She is a sturdy, proven design, safe and pretty.The Hull is GRP and is powered by a 1.5Kw Direct Drive Electric Motor. Unladen weight is one ton. A bank of 12 lead acid batteries supply the main power with trickle top-up assistance from photo-voltaic panels on the canopy. The solar panels charge the back up battery throughout the day, so we can always get home. A full charge allows the boat up to 14 hours of operations subject to to load and wind conditions. Giving 2 Horsepower the boat has a maximum speed of 5.5 k.p.h. at 1200 r.p.m. Designed to be silent in operation and the hull giving virtually no wash. She is ideal for operations on the canal. The Captain will give a safety briefing at the beginning of each sailing. Our priority is the safety and comfort of our customers at all times.The canal is just 1.5 metres deep on average and there are is no current or surprises, (waterfalls, whirlpools etc. ).There may be occasions when your Skipper will expect you to behave in a certain way. Please do so with the minimum amount of fuss for your own safety. One of the easiest modes of Transport is by Rail. Kent has one of the most dense rail networks of any county in the UK, particularly due to its close proximity to London, as well as needing to provide good rail links to locations such as Dover for cross-channel traffic and the Eurostar terminals. Most Train Services in Kent are operated by SouthEastern Trains. See their site for more up to date information on schedules and engineering works. The exceptions are the local trains between Tonbridge and Redhill via Edenbridge and the local trains between Ashford and Hastings (Sussex) via Appledore, which are operated by Southern. National Rail Enquiries provide a simple route planner and ticketing system. Seat reservations are not available on South Eastern or Southern trains, except for large groups. Advance ticket purchase can sometimes save you money for longer journeys, but note that cheap fares are generally not available before 9am on weekdays. A ticket called 'PlusBus' available to many towns in Kent. This ticket will add rides on local buses at your destination. There are terms and conditions, so check before you buy. All trains in Kent are modern air-conditioned electric multiple-units and are fully disability compliant, with wheelchair bays and suitable toilets. Look for the 'wheelchair' symbol on the train doors. First class travel is available on the main lines, but is not worth the extra cost as all you get is different colourseat! On board refreshment service is limited to a portable 'bar' that passes through the train. It is very expensive, so if you think you might need a drink or snack, buy something from a shop near the station of departure. The cafes and shops on thestations are almost as expensive as the on-board service. All stations in the county are open seven days a week, with a train at least once an hour at even the smallest. Larger towns and cities will have up to six trains to/from London every hour, ten or twelve in peak weekdays rush hours. There are however no trains after about 9pm on December 24th (Christmas Eve, none at all on December 25th (Christmas Day) and virtually none on December 26th (Boxing Day) therefore if planning to travel around those times you may have to think again! Some very small stations are unstaffed at all times and many of the ticket offices at 'medium sized' smaller stations have limited opening hours. If boarding at these places, you can pay your fare on board, without penalty, in cash or with a credit card. Many stations also have ticket machines which also accept cash and credit cards. However if you board elsewhere without a valid ticket, make sure you have a good excuse ready. Most of the larger stations are now gated, so you need to keep your ticket to exit the system. Train services at weekends are sometimes affected by track maintenance and repair work, with some services diverted and buses used to cover some sections of route. You can get details of upcoming work at the South Eastern railway website. There are a number of ways to get around by train, and many visitors will start out at London. From London the main terminals that serve Kent are London St Pancras (High Speed Trains), London Victoria and London Charing Cross (of which this article will focus on). You can also use London Bridge, London Waterloo East, London Cannon Street, and London Blackfriars. London St Pancras is the terminal for the High Speed Train (HST 125mph) service towards the Medway Towns, Ashford, Canterbury, Dover, Margate, Broadstairs and Ramsgate. This station is adjacent to London King's Cross and a short distance from London Euston, two other important London terminii. High Speed trains into Kent also stop at Stratford, very convenient for travel to and from Essex and East Anglia. Do bear in mind that for certain journeys the time gained using the HST route may be negated by the need to cross London to get to or from St Pancras. Victoria is one of the Kent terminals, and serves the whole county (as well as neighbouring Sussex and Surrey, and the London suburbs). This is the place to start journeys to the Kent Coast (in particular the Isle of Thanet and Dover). There are also services to Ashford (for some international Eurostar Services) and Maidstone, as well as Canterbury. Services to all of these destinations are very regular from Victoria running about every half hour/every hour. Tickets should generally be bought in advance if travelling from London, and Victoria does have ticket barriers in operation most of the time. London Charing Cross is a smaller Kent terminus that offers services to all of the above destinations, as well as other routes, including to Folkestone and Deal on the coast, Tunbridge Wells,Tonbridge, Sevenoaks and Staplehurst in the Weald of Kent, and also Chartham and Wye for the spectacular views of the North Downs. Trains from Charing Cross also call at Waterloo (East), some call at London Bridge while during peak weekday rush hours many trains run to or from London Cannon Street station, in the heart of the 'City'. The trains from London's several terminals criss-cross the county serving a variety of routes and destinations. Screens and announcements on the platforms and in the trains are used to reel off the stopping points and destinations. Some trains divide en route, so do make sure you are in the correct section of the train if you hear such an announcement. Don't be afraid to ask people if you are not sure. Many of those on the train will be regular travellers and can help if there are no staff around. New High Speed trains now running between London and Kent. The new Ebbsfleet International station provides full high speed services to and from London St Pancras station within 20 mins.These new high speed trains also serve Ashford, Dover, Ramsgate, Margate, Canterbury and other stations in the east of the county. A higher fare is payable for journeys on the HST (High Speed Train) between Ashford, Ebbsfleet and London but normal fares apply where these new trains share routes and tracks with the standard service. St Pancras station is a couple of miles to the north of the City and West End of London.This is very useful if connecting for trains arriving at or leaving from St Pancras, King's Cross and Euston. However, travellers to or from certain areas of London (ie the West End and City) will still find it more convenient (and cheaper) to use Victoria or Charing Cross and the 'classic' lines. HST - via High Speed Route to St Pancras. Other times are via 'classic' routes to london Victoria/Charing Cross or Cannon Street. Times are the average. Faster trains run on many lines during peak commuter hours. Medway Towns: 40 mins HST, 1 hour otherwise. If you are visiting London for the day, you can buy a 'Travelcard' ticket, which will combine the train journey to and from London and the ability to use London's local buses and trains to get around once there. Dover- If you are arriving at the port of Dover, then Priory station is a short bus ride away. From here there are regular trains to London as well as to Ramsgate (for Broadstairs and Margate) and Canterbury. Gatwick- The airport is actually not in Kent, but will be included here. There is the Gatwick Express train that runs from London Victoria direct to Gatwick, with journey times taking about 30mins. If travelling from/towards other parts of Kent, use trains to/from Tonbridge (which always now include a change at Redhill). Canterbury and Thanet- Trains run towards London Victoria very regularly from Canterbury East via Faversham. From Ramsgate and Thanet via Canterbury West there are trains to Charing Cross roughly every half hour. There are also occasional trains from C.West to Victoria (see National Rail Enquiries for more details). From Thanet there are services to London Victoria via Herne Bay, Faversham and the North Kent coast. This is the quickest route into London (~1hr45mins). There are also services from Ramsgate regularly to London Charing Cross via Dover and Folkestone. Ashford International and Maidstone- If arriving into Ashford by Eurostar, the domestic station is in the immediate vicinity. Trains from Ashford to London via Tonbridge run about every 30mins and via Maidstone East roughly every hour. Other local services connect Ashford with Folkestone, Dover and Canterbury at least once evey hour. Trains towards London and other major cities and towns in Kent are very busy on weekdays with commuters from start of service around 5am until 9am. In the reverse direction, trains will be full leaving London between about 4pm and 7pm. If leaving from a London terminal, try to arrive 10 - 15 minutes before your train leaves and you will have a reasonable chance of getting a seat. Kent has a good network of roads and motorways, however these are often jammed and queues are quite likely at any point of the day. In particular the M20, M2, M26 and M25 can get very busy, especially between 7:30am-10am and 4pm-6:30pm (rush hours). Have a look at this Kent Roadmap to plan your journey accordingly. National Express run regular services to most major towns in Kent from London Victoria Bus Terminal on Buckingham Palace Road, London. The majority of services will end up terminating at either Ramsgate or Dover, but will have lots of stops on the way depending on your route. See their website for more information on Kent schedules, services and prices. Local buses around the county are operated by a large number of companies, ranging from the large organisations of Arriva, Metrobus and Stagecoach down to one man and his bus. There is a comprehensive travel website for the region at http://www.travelinesoutheast.org.uk/ within which you can discover all the routes and timetables.The major companies also have their own websites. Most of the county is reasonably well served by bus on weekdays and Saturdays until early evening, However buses after about 7pm and all day on Sundays and holidays are often very limited, so travel on those times/days will need to be carefully planned. There are NO local buses operated on December 25th (Christmas Day) and very few on December 26th (Boxing Day) and New Year's Day, January 1st.. The larger companies may issue 'rover' tickets, which generally allow unlimited travel after 9am weekdays, all day Saturday, Sunday and Holidays. However these can usually only be used on that company's own routes. Enquire at the local bus station or bus office or through the company website. A few visitors may arrive into Kent on a cruise, or have come from one of the ports in France, Belgium or beyond. SeaFrance, P&O and Speedferries operate cross-channel services in and out of Dover, usually costing around £20-£30. The Port of Dover is very well run, and staff will be able to assist with onward travel into Kent, and directions to the station if required. There are also ferry services to Oostende in Belgium from Ramsgate operated by Transeuropa. Most Eurostar trains no longer stop at Ashford. Therefore those travelling from or to Ashford, Dover, Folkestone, Canterbury, Margate, Ramsgate etc now have to travel using the High Speed trains some 40 - 50 miles in the wrong direction to reach the Eurostar terminal at Ebbsfleet. EuroTunnel (The Channel Tunnel) operates from just outside Folkestone, and is clearly marked by road from both the M20/M2 and the main routes from Dover to Folkestone. You can board the Channel Tunnel train with your car the journey takes about 35 minutes and runs from Folkestone to Calais, France . It is difficult to reach Eurotunnel from the Rail stations at Folkestone (and Sandling), but is do-able by taxi from either Dover or Folkestone station. (A bus service may operate from the Folkestone stations). The Channel Tunnel and The Channel Tunnel Rail Link are however not the same, which is why it has now been called High-speed 1. Gatwick Airport is the nearest airport to Kent. Roads and rail links are outlined above. There is also Kent International Airport at Manston on the Isle of Thanet which operates some passenger flights during the summer. The nearest rail station is Ramsgate about 3 miles away. Please see the airport website or look at the Broadstairs Travel page for further information. Boating is an emotive and pleasurable pastime. We have links with several other boating operations that we think you will enjoy. Remember, The fastest road can't take you as far as the slowest boat. There are plenty of flat areas along the seafront and in Hythe's many green spaces where you can enjoy a leisurely stroll. With its fabulous Festival and Venetian Fete and a winning combination of sea and greenery, sheltered alleys and higher levels, Hythe is picturesque, peaceful, friendly and perfectly placed. Hythe is a fascinating town of interweaving scenes and contrasts. First theres the sea and the shingle beach, behind it swathes of parks and greenery leading to the grand wide canal and country park. The central High Street and heart of the town shelters behind the canal and its surrounding parkland, while the town centre itself masks the hills behind. Alleys from the High Street lead steeply upwards to a higher level of parallel road thats packed with beautiful old houses and cottages. Above these cottages is the highest of the towns three levels, where the magnificent church of St Leonards sits alone, commanding views across the rooftops all around. Theres a friendly, old world atmosphere in the 1940s-style shops, yet Hythe is close to London and near enough to France to do your shopping plus its tailor made for outdoor activities, from sailing and windsurfing to swimming to golf. In the aftermath of the French Revolution, a young military genius named Napoleon Bonaparte emerged from the turmoil with a vision of a united Europe under French rule. Under his leadership France set about waging war on its neighbours, declaring war on England in 1793. An uneasy peace was settled in 1802 through the Peace of Amiens, but the countries were soon at war again. Napoleon saw England as the key to conquering Europe. The Royal Military Canal Path runs for 28 miles along the entire length of the Royal Military Canal from Seabrook, Kent to Cliff End in East Sussex. The route treads a path between the vast openness of the Romney Marsh and the old cliff line with its wooded hills and quiet villages. Walking along the quiet canal banks today it is easy to forget that this was once the scene of intense military activity. Now, much of the drama on the canal comes from the variety of wildlife that has made the canal its home. Many public footpaths link to the Royal Military Canal Path, so it is easy to plan circular routes that take in sections of the canal. For those who prefer to stay close to the water, you can walk the length of the canal in stages. section of the Royal Military Canal near Hythe. There’s much to enjoy on this route as there are lovely sections along the coast and the canal with views of Port Lympne Wild Animal Park an added bonus. You’ll also pass interesting historical landmark Portus Lemanis Roman Fort and the medieval Lympne Castle. Stocked with fish in 1806 The Royal Military Canal it ‘abounded with large carp,tench, perch, pike, eels and every other species of freshwater fish’. Field officers and some country gentlemen were given permits in the summer to fish from the tow-path side only. 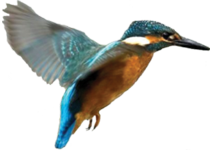 Today, the canal is one of the best areas in Kent for coarse fishing and still has a large quantity and variety of species. From Seabrook to Iden Lock the canal’s waters are club controlled. It is possible to fish these stretches of the canal without being a member of the relevant clubs by obtaining a day permit. Contact the individual fishing clubs for more information on day permit fishing and how to obtain one. Anglers - Please note: The Electric Boat sails throughout the day, Summer to late Autumn. The Royal Military Canal was never intended for navigation, being primarily a defensive structure. However, in a bid to raise much needed money from the enterprise the canal was opened for public use and tolls were charged. The canal was mainly used by barges carrying shingle and other cargoes, although there was a regular passenger service which ran from Hythe to Rye. The canal remained steadily busy until the Ashford to Hastings railway was opened in 1851 - this took away most of the traffic. Barges continued to use the canal sporadically until the last toll paying barge travelled through Iden Lock in December 1909. Boats can be hired between Easter weekend and the end of September, from one hour to up to half a day for £12 an hour. The Royal Military Canal is an excellent place to see wildlife. The verdant, tranquil banks provide an ideal home for many creatures: whatever the season, whatever the weather there will be something to be seen enjoying the canal.The majestic mute swan can be found all along the canal as can the grey heron, as it waits patiently to make the most of the canal’s bountiful fish stocks. A flash of blue or orange darting low over the water will indicate the presence of a kingfisher, and a noisy cuffuffle from the reeds or a loud squawk will probably be a moorhen nervously making its way through life. Throughout the summer months the quarrelsome song of the reed warbler can be heard as it goes about its life unseen in the reeds. Times are correct as of 25th March 2018. However all times are approximate, and are subject to change without notice. Sailings may be affected by operational conditions beyond our control. Site signs at the pick-up-point will state the next sailing time. If traveling any distance please check availability. Whole Boat sailings can be booked in advance by text or email. We will confirm within 48 hours. a non-returnable 50% deposit is usually required. Terms and Conditions apply. 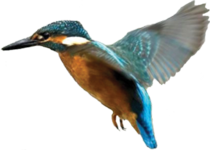 Such as Sunset Chaser or Bird Watching Adventures will be posted on our website as they are arranged. By Road: Hythe is on the A259 which gives direct access from the Kent and Sussex coast. Hythe Military Canal is only 3 miles from the M20 junction 11, which makes the Electric Boat Trips easily accessible from London, the M25, the Channel ports and the Eurotunnel terminal at Folkestone. By Bus: Buses serve Hythe from Ashford, Canterbury, Hastings, Rye, Folkestone and Dover. to Folkestone Central or the Romney, Hythe and Dymchurch Railway. By Coach: Natonal Express service 021 operates daily between London and Hythe.